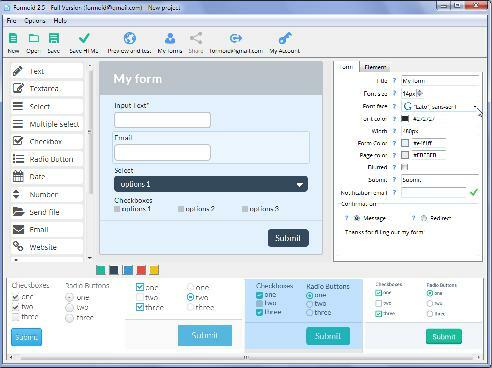 Formoid is a free desktop app that helps you easily create jquery form plugin, web forms, web form design, html email form and more in a few seconds without writing a single line of code. Create amazing online forms in just a few clicks. Hi, is it possible to change the type of captcha to a standard captcha and not recaptcha? On my laptop it is working now now I am installing it on my pc...but it says that the key is already activated with another email address. please advise.